Planning is underway to develop the Balboa Reservoir site with mixed-income housing, open space and community amenities. 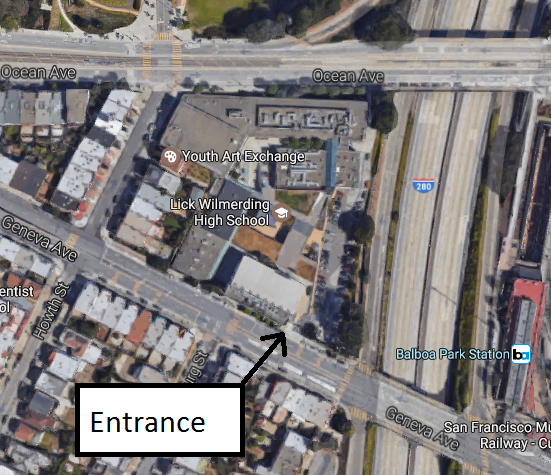 This site is owned by the San Francisco Public Utilities Commission (SFPUC) and located immediately west of City College's Ocean Campus, east of the Westwood Park neighborhood, and south of Archbishop Riordan High School. The notice of preparation of an Environmental Impact Report (EIR) for the Balboa Reservoir has been published and can be viewed here. After a 2-year outreach, visioning, and selection process, a developer team was chosen to partner with the City on the development of the Balboa Reservoir site. To learn more about the selection process, visit the SFPUC and the selected development team, led by BRIDGE Housing and AvalonBay, along with Mission Housing, Habitat for Humanity, and Pacific Union Development Company. See Frequently Asked Questions on the Balboa Reservoir under the Supporting Info tab. In late 2014, the Mayor's Office of Economic and Workforce Development, the Planning Department and the San Francisco Public Utilities Commission initiated a study of the SFPUC-owned Balboa Reservoir site, located off of Ocean and Phelan Avenues in Balboa Park. It is among the first sites slated for San Francisco's Public Land for Housing Program, which utilizes City-owned land to address the City's most pressing housing issues. Download the initial study's existing planning conditions report here and existing transportation conditions report here. The Balboa Park Station Area Plan, adopted in 2009, supports developing the Balboa Reservoir site for housing (Objective 4.4) and includes policies designed to increase affordable housing for a variety of incomes; create open space; knit together isolated areas of the neighborhood; integrate diverse land uses with the area's commercial and transit corridors; design streets for walking, biking and public transit; and otherwise strengthen the Balboa Park area. Now, through a public process, San Francisco is working to utilize the 17-acre SFPUC property to achieve many of these objectives. The Development team is currently refining a draft master plan, or "base plan", for the Balboa Reservoir site. The base plan will be used to begin the City's technical analysis of the potential impacts of developing the site. To see the currently proposed site plan, visit the April 9th presentation to the CAC. During the environmental review process, the City and the development team will continue with community design workshops and tours, providing the opportunity to discuss open space, streetscape, and architectural designs in more detail. Considerations like the types, designs, and activities of the Reservoir's parks will not affect the environmental analysis and will continue to be refined to ensure the project serves existing neighborhoods well. The purpose of the CAC is to provide a community voice and function as a central clearinghouse for community input. The CAC serves in an advisory role, providing feedback to City staff reporting to the Mayor, the Board of Supervisors, and City departments. Response to Comments from 4/13/16 meeting on Transportation and "TDM"